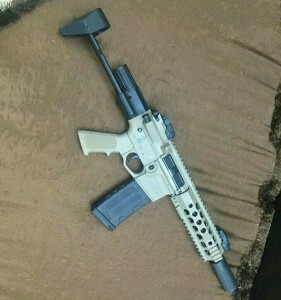 Recent photographs shared via social media have shown members of Kurdish Peshmerga and personal security detachments within the Iraqi Special Operations Force 1 Brigade (ISOF 1) carrying the 7.5″ PDW-CCS self-loading rifle produced by North Eastern Arms (NEA) of Ontario, Canada. 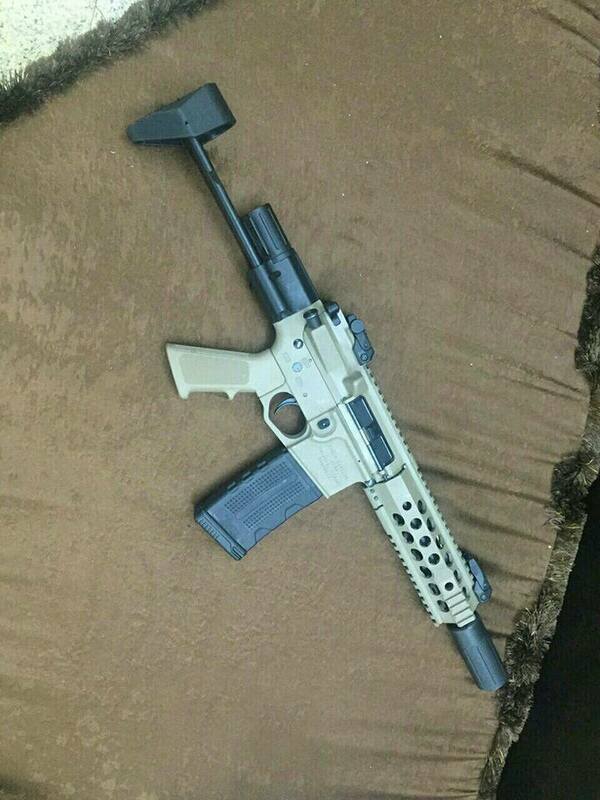 The rifles in question are also pictured outfitted with NEA’s “Mini Can” direct thread suppressor. 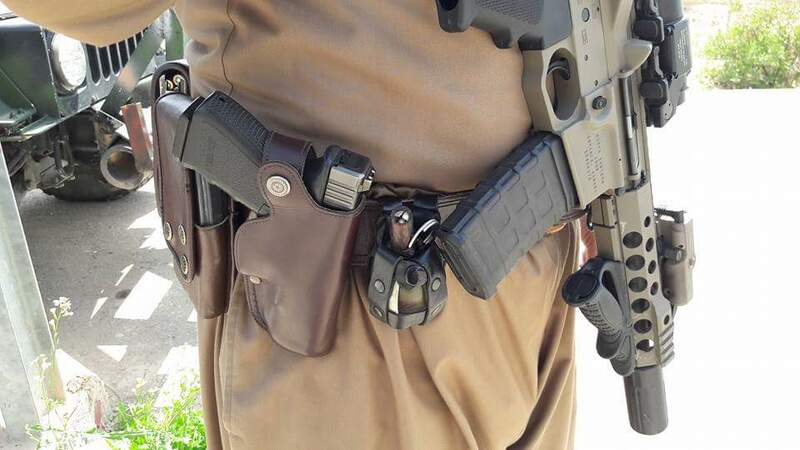 One example in use with Peshmerga forces appears to be fitted with an ELCAN SpecterDR 1x/4x 32 mm variable optic, a AN/PEQ15 with pressure switch, and a Picatinny rail-mounted FAB Defense PTK forward grip. 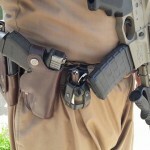 Several different magazines have been seen in use, including the FAB Defense Ultimag 30R, various other polymer magazines, 20-round magazines (some of which appear to be produced by Safir Arms of Turkey), and an unidentified drum magazine. In another photo shared by an ISOF member, there appear to be at least 10 CCS rifles (7 tan finish, 3 black finish) in use with his unit, which may indicate a separate sale from that made to Peshmerga forces. The selector positions visible on these weapons indicate they have automatic or burst-fire capability. The CCS is an AR-15 type rifle chambered for 5.56 x 45 mm, designed as an extremely compact PDW with a 7.5″ (190 mm) barrel and a telescoping stock. Within ISOF, the CCS currently appears to be used by protective services detail (PSD) teams escorting high-ranking officials. 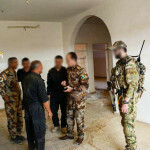 The uniforms worn by these PSD team members in the photos are not typical of ISOF operators, who tend to wear solid black with tan plate carriers of various configurations. Instead the soldier pictured has a MultiCam type uniform, plate carrier, and accessories. This is not common within the ISOF ranks, which may indicate a special role. The soldier pictured is not wearing an ISOF 1 patch, his shoulder patches are generic ISOF awards and insignia, however the officers he is escorting do display the white, yellow, and green patch of ISOF 1 on their right shoulder. 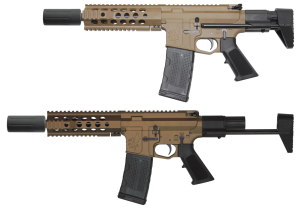 NEA has produced small arms primarily for civilian sales in Canada, manufacturing several different AR-15 derivatives for hunting and competitive shooting. 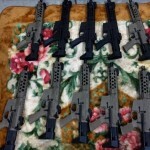 However, the website does feature a military/law enforcement section, and the company claims that their SA vz. 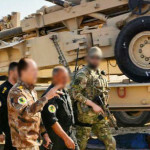 58 Modernization Package is currently in use by special operations forces in Iraq and Afghanistan. 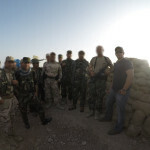 The company has previously posted photos on their social media outlets of their products in use by the Peshmerga, and appear to have visited their users at the front.